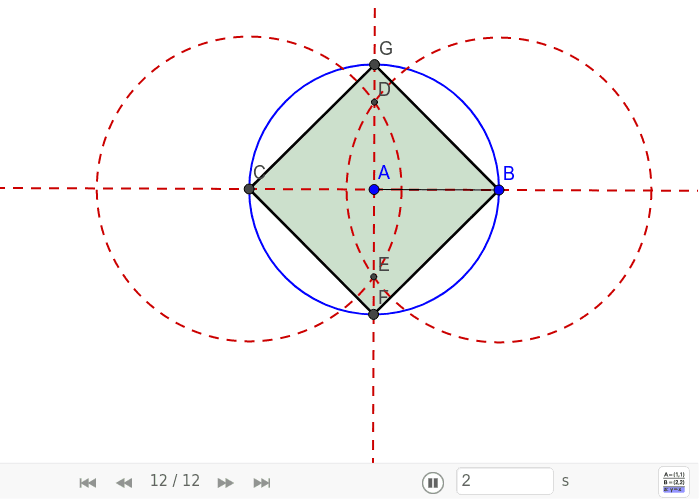 Explore the geometric properties of a square inscribed in a circle. Summarize the properties of squares, circles, diameters, chords,and how they would relate if the square is inscribed in a circle, before you start your actual construction. 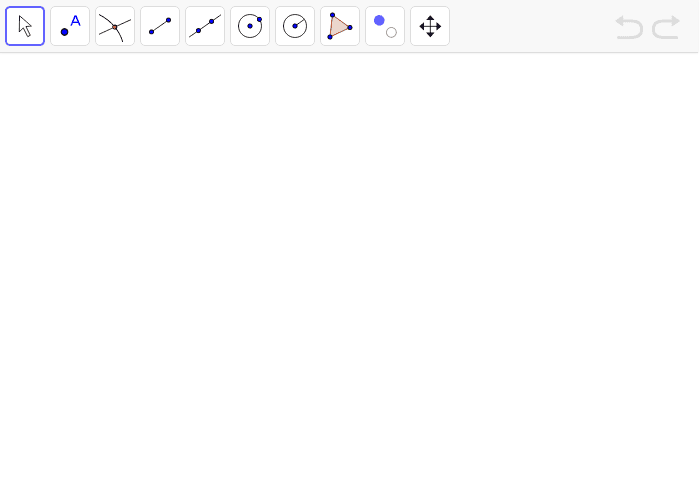 Hint: If you are not familiar with the steps necessary for inscribing square in a circle construction, you might want to explore the applet below. Just use the buttons of the Navigation Bar in order to replay the construction steps. Construct a square inscribed within a circle by following the construction steps provided below.